EDX recently announced his Dubai Skyline Remix of Nora En Pure & Sons of Maria's single, ‘Uruguay’, due out on Monday 29 December via Enormous Tunes. Capping off a big year including several Beatport chart-toppers, apparent sold-out dates on his Progression of Sound U.S. Takeover Tour, and much more, EDX gets set for 2015 with his last production of the year. 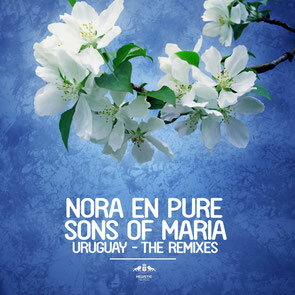 After just releasing his ‘Collateral Effects EP’, the Swiss producer channels the beauty of the Dubai Skyline on his remix of ‘Uruguay’ by his Enormous Tunes label mates, Nora En Pure & Sons of Maria. He takes the song into a more soulful deep house territory, transforming it with his smooth melodies and reworked elements of the original. Check his remix out below. EDX Is currently on His Progression of Sound US Takeover Tour. I have been exploring for a little for any high-quality articles or blog posts on this sort of house . Exploring in Yahoo I finally stumbled upon this site. Reading this info So i am satisfied to exhibit that I've an incredibly excellent uncanny feeling I discovered exactly what I needed. I most certainly will make sure to don?t disregard this site and give it a look regularly.